Here is a fact that us writers are struggling to wrap out heads around. Content is no longer in scarce supply. There will be more content generated in the time it takes me to type this sentence than any of us could consume in a lifetime. Putting content in to the world doesn’t make you special. It doesn’t even make you interesting. It just makes you another source of noise that people get better at tuning out with every passing day. SIDENOTE: If you have ever used the word content to describe you’re own writing you are lost far from the true path. Start making you’re way back, there is still time to catch up. Some of us, noting that in the attention economy demand far outstrips supply, toy with ways to use less of the scarce resource. Surely, in the fierce competition for human eye-ball time, stories that take only moments to read will multiply their chances of survival? Every fifteen minutes, somewhere on the internet, a new flash fiction publisher is launched. Where are they all? Does anyone read them? Anyone? There is a basic principle that all salesmen know: It’s easier to close a big deal than a small one. Because you never sell the reality of the cost, you sell the dream of the reward. The bigger the deal, the bigger the dream. Billion £/$ deals are agreed in two sentences with a handshake over a drunken lunch, while the rest of us spend an hour choosing between two different mobile phone contracts separated by pennies, and probably end up getting neither, because the truth is we don’t really care. 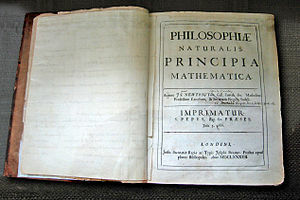 A book is never a big deal financially, unless it’s Newton’s Principia Mathematica or some such. But in the attention economy, a book is a very big deal. A book eats up hours of scarce eye-ball time. Our eyes could be looking at anything in that time…they could be gazing on miracles. And yet, every hour of every day, billions of us, choose to point our eyes at bits of paper with squiggles on. Why? Because implicit in that big deal is a big dream…that the book in our hands will unlock new potential in our minds and in our lives. That is the great dream that great books offer us all. Flash fiction takes that dream and throws a glass of luke warm water in its face. Flash fiction is like opening a sales pitch with an apology for the poor quality of your product. What kind of dream is flash fiction offering? A cheap and dowdy one. Flash fiction sells itself as being perfect for people who only want to read for five minutes on their multi-function smartphone during their morning commute to their corporate job. To paraphrase Bill Hicks…the reason I read is so I don’t end up like those people. At the start of the 21st Century, in the midst of the information revolution, is no time for books to be backing down. Books are the Jesuit missionaries of the intellect. They get sent out in to the barbarian world to bring civilisation. The great books of the future won’t apologise for their existence by trying to hide away in the gaps between other things. Like the great books of the past they will demand attention, in exchange for the dream of better things. It’s a compelling argument in its passion, and for the discussion of attention. I worry though it is just opinion, hope, and sentimentality that books more or less as we know them will survive. Flash fiction can be dense, and demand careful thought, be comparable to poetry. It is not necessarily cheap and dowdy, and not only sold as a timesaver. Demanding attention and offering the dream of better things is not providing it. Flash fiction can offer the insight in concise form, and still present larger narratives in sequences, like those of chapters in a novel. Books aren’t just surviving, their thriving. You seen those Kindle things? Full of books! And yeah, if flash fiction is good then please, bring it on. What was it they used to say? ‘Give me a child until he is five, and I will make him into a metaphor. Not so commonly used today, for self evident PR reasons. The Jesuit metaphor was a bit off-putting to me, but I admire the passion of your argument and certainly agree that championing writing that is more than “content” is utterly necessary. I was also amused that all of the “related articles” are pro-flash. hmmmm. well. The only fiction I’ve managed to get published so far has been flash. I’d like to think they were a worthwhile effort and that the length was the appropriate one for the “content”. I also think that much of your critique is most appropriately aimed at blog entries – of which many blogs (based on popularity and eyeballs) have proven that short content seems to be what (mostly) works. Especially if it’s a graphic with two or three sentences. And, as someone who has been involved in both the application for and negotiations for several multi-million dollar deals (okay, so not billions), I can tell you with certainty that they aren’t closed in two sentences at a drunken lunch. Often times they take months, if not years and a lot of thought and consideration goes into them on both sides of the equation. Blogs operate as a dialogue, and blog posts of any length are as effective as the dialogue they begin. The flash or short fiction that IS effective also works as part of a dialogue, I’m thinking of Lavie Tidhar’s ‘School’ here, among others.